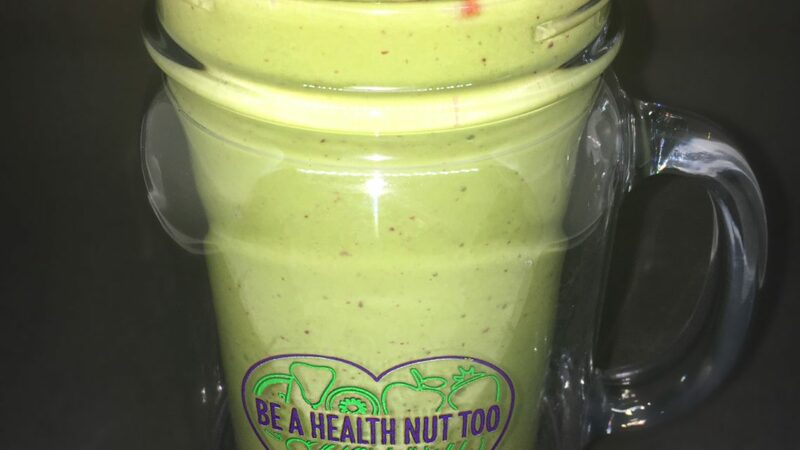 Nutrient rich spinach green smoothie thats filling and simple to make! Spinach is a very water rich food which is great for keeping your body hydrated. It is low in fat but high in nutrients. Spinach is a power green that contains zinc, fiber, iron, calcium,iodine, potassium and many more vital vitamins and minerals. It can be added to a smoothie, made into a salad, or even one of my favorites sauteed. 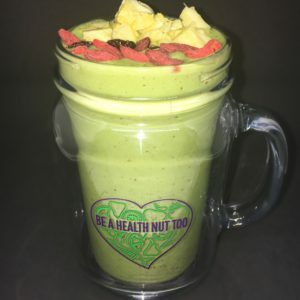 This is a very sweet smoothie combo that’s also really healthy for you. 3. Drink right away! Enjoy!